Imagine you have an opportunity to inherit your family’s business—to be the third, or fourth, generation to proudly continue the tradition. But perhaps you grew up feeling the strains of the business. You’ve already suffered its stresses and shortcomings and want a different future for yourself—one that’s modern and profitable and secure. This struggle is playing out in every coffee origin, and it’s where the team at Coffee Kids is stepping in as an agent for change. Young people are connected in ways that were never possible for earlier generations, they’re open to new ideas—but due in part to climate change, they’re also facing new challenges. Coffee Kids, a program of the non-profit Hanns R. Neumann Stiftung (HRNS) foundation, offers Rural Business Workshops where young people can receive not only hands-on agronomy and cupping-room training, but also entrepreneurial mentoring, workshops in finance and small-business best practices, and access to seed capital. Most importantly, they can imagine a future that suits them and create a plan to achieve and sustain it. 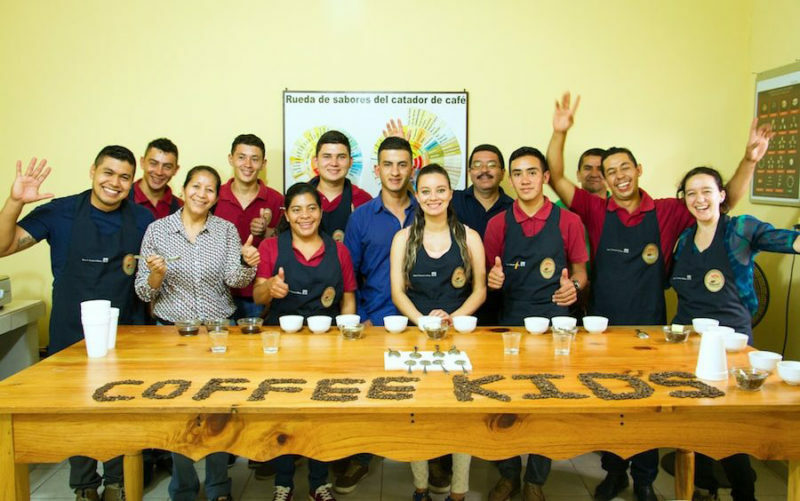 As part the Coffee Kids Rural Business Workshops, she learned business skills and acquired seed capital that enabled her to diversify her efforts. In addition to farming 2 hectares of coffee with her husband, she’s opened her town’s first bakery and is taking cake orders, as well as selling food and beverages. But most importantly, she’s confident she now has skills that will enable her to always provide for her children. Walter, at age 25, has already worked in coffee for a decade. From a town of 4,000 people, where the only industry is coffee, he was trying to go to the United States for find new opportunities. With help from Coffee Kids, he created a plan and opened a small shop selling products for farmers, which his sisters now run while he works in the field. 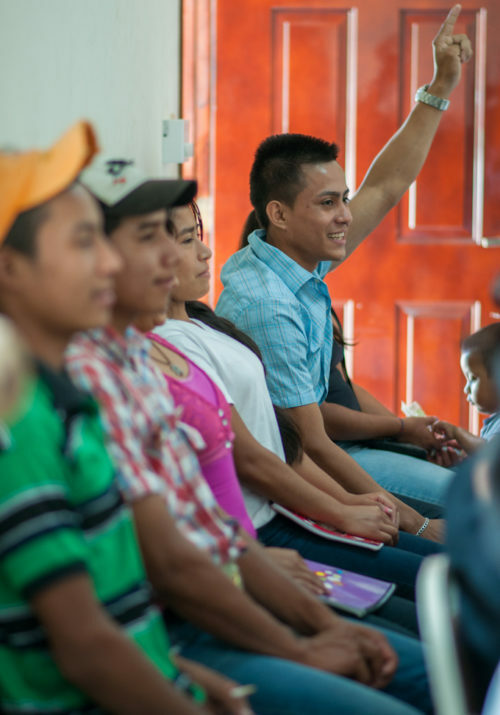 Coffee Kids also works with young producers like Maria and Walter to find markets for their coffees, and InterAmerican is proud to again offer Honduras Coffee Kids Uniocafe—and to donate 10 cents/pound back to the producers for every pound that we sell. This washed Arabica green coffee is sweet, clean and crisp, with notes of apple, citrus, chocolate and caramel. And it’s the work of 33 young producers — 22 men and 11 women, ages 15 through 39—from the Uniocafe Youth Committee. Quality control training during a Coffee Kids Rural Business Workshop. 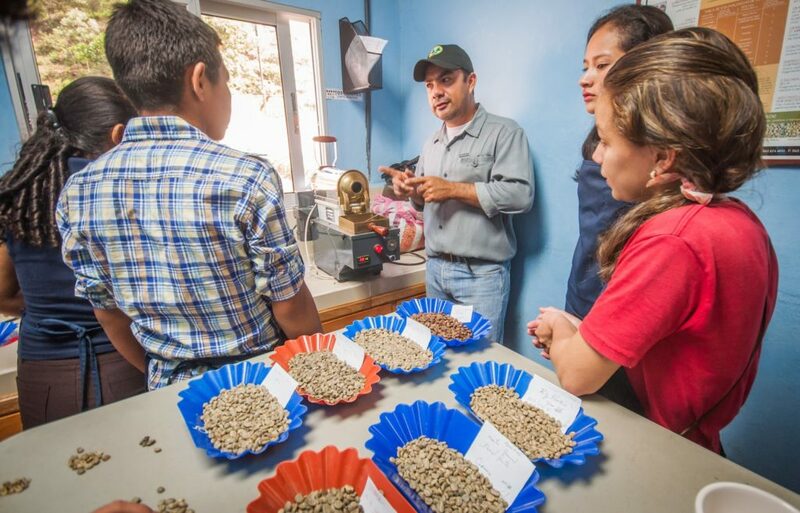 Uniocafe is a farmers’ association in Honduras’ Ocotepeque region that represents 28 producer groups and more than 1,000 producers in total. Its Youth Committee—founded in 2016—represents its youngest members and provides programs supporting gender equality, youth empowerment and trainings to address climate change. In Uniocafe, Coffee Kids found an excited and likeminded partner. We hope you’ll sample, sip and share it widely! And thanks. Visit the Honduras Coffee Kids Uniocafe coffee bio.